The World Health Organisation (WHO) has appointed Dr Takeshi Kasai as the new regional director for Western Pacific region, and also re-appointed Dr Poonam Khetrapal Singh for a second term as the regional director for Southeast Asia region. The WHO Executive Board made these announcements during its 144th session being held in Geneva. Dr Kasai, a Japanese national, has worked for WHO for more than 15 years. As Director of Programme Management for the last 4 years, he served as deputy to the Regional Director. He takes office as Regional Director from February 1. Prior to this, he was instrumental in developing and implementing the Asia Pacific Strategy for Emerging Diseases and Public Health Emergencies, which guides member states to improve readiness and response in public health emergencies. Dr Kasai also served as the WHO Representative in Vietnam from 2012 to 2014. On the apppointment, Dr Kasai said: "I am grateful for the trust placed in me by WHO Member States and deeply honoured to serve as Regional Director for the Western Pacific." On her re-election, Dr Singh said it was indeed a privilege to once again be appointed as regional director for WHO South-East Asia Region. 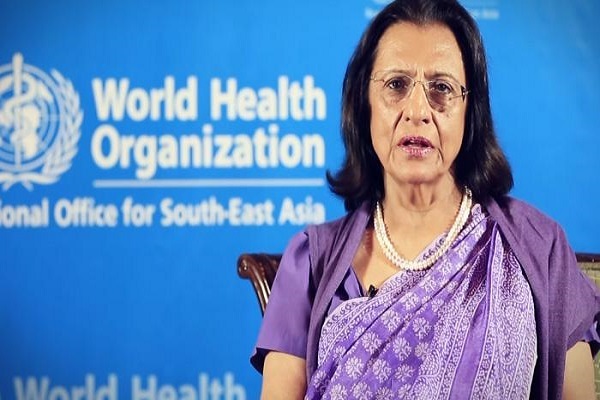 Dr Singh, an Indian national, is the first woman regional director of WHO South-East Asia. She assumed office on February 1, 2014. In September last year, she was unanimously nominated by for a second 5-year term. "The confidence you have reposed in me is humbling,” said Dr Khetrapal Singh, whose first term was marked by numerous initiatives and public health achievements.